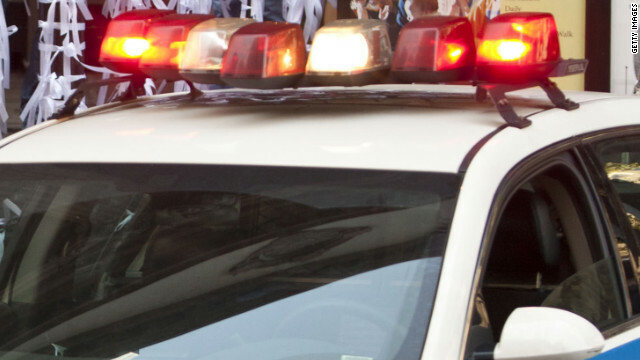 Authorities are warning drivers that two recent deaths along Mississippi highways may have started as fake traffic stops. Authorities think someone might be posing as a police officer, pulling cars over on highways and then killing the drivers. There's already been two incidents in Mississippi and one of the victims, Tom Schlender, 74, was found dead inside his car with his wallet missing. Readers have shared many thoughts on next steps for people who get pulled over. Killings lead to question: Can you wait before pulling over for a cop? Authorities advise drivers who are feeling uneasy to call 911 and verify that a legitimate officer is pulling them over or drive to a well-lit, crowded place before stopping. These actions are permitted under Mississippi state law. "Doesn't everyone feel uneasy when being pulled over?" asked JamesC. Readers were nervous about whether officers would understand what they are doing. Richard Glover: "Let me know how 'driving to a well-lit, crowded place' works out for you when a cop is trying to pull you over, only thing I could say is it better not be too far of a drive or you may get shot by a real cop ..."
NotlooknGood: "If I get sirened by a cop in Northern Mississippi right now, I am putting on my flashers and driving 'til I find a safe place to pull over. As long as you don't speed off, the cop will understand your actions once you explain it yourself. Plus, I'm sure the law enforcement have been informed that drivers will be doing this." rushthis: "How do we know a real cop isn't doing the killing?" Filed under: Crime • Mississippi • Overheard on CNN.com • U.S.
Pastor and gospel singer Marvin Winans said he lost his wallet and his SUV in Wednesday's attack. 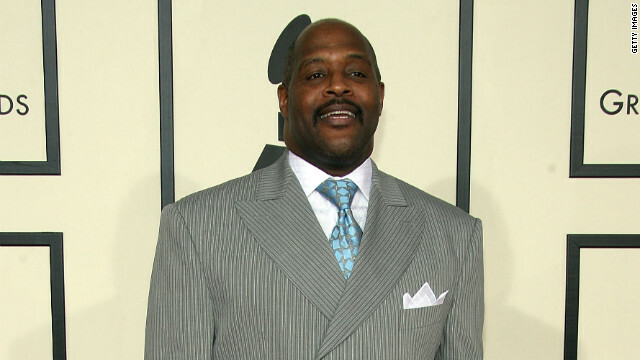 Detroit pastor and gospel singer Marvin Winans, who delivered the eulogy at pop star Whitney Houston's funeral this year, was robbed and carjacked at a gas station in his home city Wednesday afternoon, CNN affiliates WXYZ and WDIV report. Winans, pastor at Perfecting Church on Detroit's east side, had just walked out of the Detroit station's convenience store and was about to pump gas into his SUV when four men exited the store and attacked him, he told WXYZ. The attackers kicked him and took his wallet and his purple 2012 Infiniti QX56 SUV, he said. Winans suffered cuts and bruises to his face, hands and arms, and his pants were torn, WDIV reported. Overheard on CNN.com: Who deserves a Medal of Honor? A teary-eyed Rose Mary Sabo Brown accepted the Medal of Honor from President Barack Obama at a ceremony Tuesday that commemorated the dying act of her husband, Army Spc. Leslie Sabo Jr., during the Vietnam War. The Medal of Honor: What is it? Some readers said they thought Sabo deserved the honor. Others questioned what merits a military award. Some readers question the meaning of a hero. Venus52 8: "Why do they call people in the military heroes? I am kinda getting ill of the word. [I don't know] why, but I am. They always use these coined phrases that get on your nerves after awhile. Just call them by their name. Then we can decide if they are a hero or not. Some people come out of the military and kill their spouse or something terrible or the local park ranger or ... "
caneve: "I'm not sure if you're understanding the fact that 1) This soldier wasn't a paper pusher. He was an infantryman 2) He went above and beyond the call of duty. His actions that day are what coins him a hero, not just because he was in the military. Maybe one day you'll be able to grasp this concept." Despite the disagreements over what constitutes a hero or a heroic act, many agreed that our country’s military men and women deserve our gratitude and respect in times of war and in peace. Nelson: "So many brave men and woman who gave their all in a country that didn't honor them. Still let's honor them not just in war but in peace. Being in the military doesn't get the pay nor honor sadly as people in sports do. Many service members who died in war may not have saved someone's life in order to receive this honor but in doing so they helped and honored our/my country. These people were brothers, sisters, husbands, fathers - just plain people ask to do something more only a few dare to do! From my heart - ‘THANK YOU.’"
Are you a veteran? Who was a hero in your unit, or what kind of heroic action hav you witnessed? Please share your thoughts in the comments section below or sound off on video. 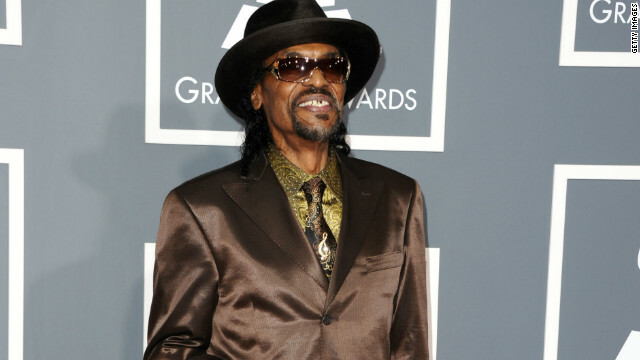 Chuck Brown arrives at the Grammy Awards in February 2011. Chuck Brown, known as the "Godfather of Go-Go," a genre blending funk, jazz and soul and other musical forms, died Wednesday, his manager said. Brown, 75, died at Johns Hopkins Hospital in Baltimore, Maryland, manager Tom Goldfogle said. The performer, whose career spanned four decades, died of multi-organ failure from sepsis. "Go-Go" originated in Washington, D.C., in the 1970s. Brown, with the Soul Searchers, had a big hit with "Bustin' Loose." The guitarist and singer became a familiar figure on stage with his brim hat and sunglasses. According to CNN affiliate WJLA, Brown had recently postponed numerous shows due to failing health. Robert F. Kennedy Jr. and his wife Mary arrive at funeral services for U.S. Sen. Edward Kennedy in August 2009. 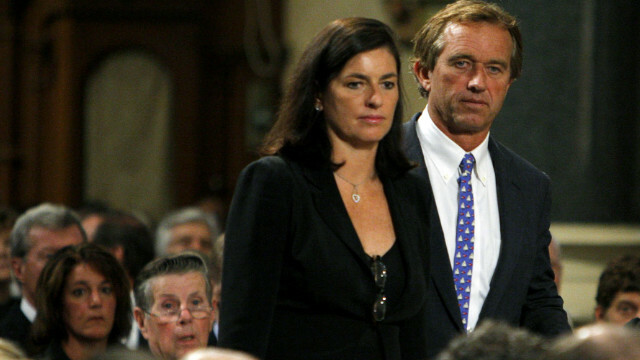 Mary Kennedy, from whom Robert F. Kennedy Jr. filed for divorce in 2010, is dead, said an employee of the Westchester County, New York, medical examiner's office on Wednesday. The employee, who declined to give his name, told CNN he would provide no further details about the manner and cause of death. The family released a statement saying, "We deeply regret the death of our beloved sister Mary, whose radiant and creative spirit will be sorely missed by those who loved her. Our heart goes out to her children who she loved without reservation." The Bedford (New York) Police Department earlier confirmed they were investigating a possible unattended death at 326 South Bedford Road, an address owned by Robert F. Kennedy Jr.
CNN iReporter Eric Rossicci, a lifelong photographer, shot some astonishing photos of wild herons fishing in the waters of Tsawwassen, British Columbia. "There is a rookery nearby, and at this time of year, the herons are busy building their nests and fishing," he said. "The inevitable fight for fishing territory follows as can be expected, so it's always fun to watch them and capture them doing what they do best. They are so engrossed in fishing that they don't mind people getting close to them, which makes it easy for me to get their pictures." Easy for you, maybe, Eric. The city of Tombstone, Arizona, has lost the first round in its showdown with the federal government over water. U.S. District Judge Frank Zapata this week shot down Tombstone’s request for an emergency injunction ordering the U.S. Forest Service to step aside and let the city use heavy equipment to repair its 130-year-old pipeline in the Huachuca Mountains. The pipeline and some of Tombstone’s springs lie within a federally protected wilderness area, requiring a permit from the Forest Service. But Tombstone says it owns the land and doesn't have to ask anyone for permission to make repairs that are critical to its survival. In a 14-page written decision, Zapata said the evidence showed that the Forest Service had attempted to approve some permits, but that the city did not provide enough information. Tombstone immediately appealed to the 9th Circuit of the U.S. Court of Appeals. Tombstone also plans to ask the 9th Circuit court for an injunction. “We will take it all the way up to the Supreme Court if necessary,” said Christina Sandefur, and attorney with the Goldwater Institute, which represents Tombstone. Tombstone’s 26-mile water line, which dates back to 1881, was damaged in landslides that followed last summer’s Monument Fire. The city plans to hold the Tombstone Shovel Brigade on June 8 and 9, hoping hundreds, if not thousands, of volunteers with donated shovels will head into the mountains and work on the pipeline. “The most desperate part of our work is to try to protect the work we have done from the monsoons,” said Tombstone City Clerk George Barnes. Forest and Tremica Thompson, who invited CNN to document the final week of their son Charles’ life, have received notes of thanks and support from across America - and as far away as Zimbabwe. "I just hope it changes people's thoughts on the death of children and helps families like ours," Tremica says. Since the story was published, many have asked how they can help the family. They have opened a memorial fund called “The Gift of Charles” through Wells Fargo. 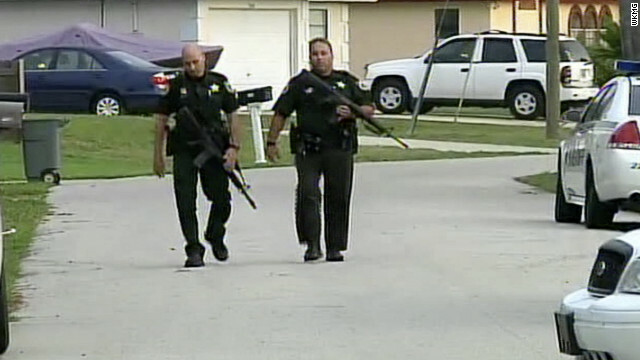 Sheriff's deputies and SWAT team members converged on a Port St. John home early Tuesday after reports of shootings. Friends of four Florida children who police say were fatally shot by their mother reacted with tears and stunned silence Tuesday when they found out their classmates were dead. Student Malcolm Murray, a friend of slain teenager Jaxs Johnson, said the killings were announced over the loudspeaker Tuesday at Space Coast Junior-Senior High School in Cocoa, Florida, where Johnson and two of his siblings attended. "It's unfair she had to take his life," Murray told CNN affiliate WKMG. "I cried so much I can’t cry anymore." Authorities said Tonya Thomas, 33, killed her four children - Joel Johnson, 12; Jazlin Johnson, 13; Jaxs Johnson, 15; and Pebbles Johnson, 17 – before fatally shooting herself early Tuesday at their home in Port St. John. Some of the children went to a neighbor’s home to say that their mother was shooting them, but they returned to their house when Thomas called them back and Thomas shot them again, killing them, Brevard County Sheriff’s Lt. Tod Goodyear said, according to WKMG. 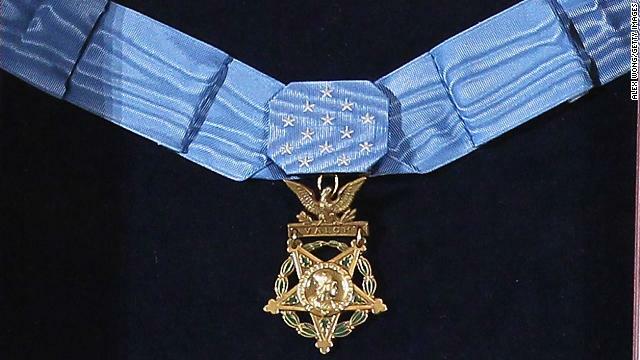 The Medal of Honor was created in 1861, based on separate bills to promote the efficiency of the Army and Navy, and bestowed on those who "distinguish themselves by their gallantry in action." The bills were signed by President Lincoln, and the medals were designed to celebrate heroes of the Civil War, but the award survived and gained prominence after the conflict, according to the Congressional Medal of Honor Society. Since 1863, it has been awarded the bravest soldiers, sailors, airmen, Marines and Coast Guardsmen, according to the U.S. Army's website. In the name of Congress, the president awards each medal. Awarding the actual medal can take years. What is the process of being granted the Medal of Honor? Fewer than 100 living recipients are among us today. FBI Director Robert Muller said the bureau has opened a preliminary investigation into a major JPMorgan Chase trading loss. "All I can say is that we have opened a preliminary investigation," Robert Mueller said in response to questions at an FBI oversight hearing on Capitol Hill. The company had made a surprise announce that it has suffered trading losses of $2 billion since the start of April. The loss, while massive on the face of it, is expected to be easily absorbed by JPMorgan, which is the nation's largest bank by assets. Even this quarter, the bank is expected to turn a multi-billion dollar profit. The group that suffered the losses is part of the bank's so-called corporate unit, and had been making trades designed to hedge against risk, which is a fancy way of saying it operates as a kind of insurance agency, CNNMoney.com reported. When a big bet is made, the office tries to find ways to mitigate the risk to the bank should the bet go south. Over the past few months, the unit has staked out a very large position in insurance-like bets called credit default swaps, the same type of instrument that caused so much havoc in 2008. CEO Jamie Dimon, who on Monday a $23 million compensation package approved, told analysts and reporters the losses were caused by "errors," "sloppiness" and "bad judgment." In the wake of the financial crisis, critics have made the case that the biggest banks are still so large, so complex, and their desire for profits so great that they remain a systemic risk to the global financial system. Dimon, in full damage control mode, was forced to hold a hastily-arranged conference call to announce the loss, and followed that with an appearance on Meet the Press, where he admitted the company had made a mistake. "This is a terrible mistake," Dimon said. "In this job, you hope they're small and few and far between. This one is far too big." 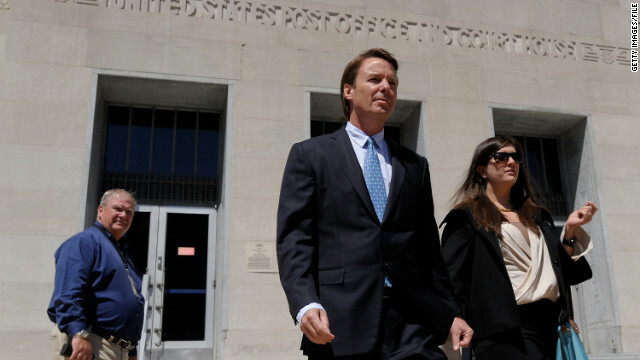 John Edwards' defense team rested its case Wednesday in his corruption trial. No more witnesses will be called and closing arguments are scheduled to begin tomorrow. Jury deliberations will likely begin on Friday. The former U.S. senator's trial is under way in Greensboro, North Carolina. He is charged with six counts of illegal campaign contributions, conspiracy and falsifying documents. If found guilty on all charges, Edwards faces up to 30 years in prison and a $1.5 million fine. The government alleges Edwards "knowingly and willingly" accepted large amounts of money from wealthy campaign donors to hide Rielle Hunter and her pregnancy in an effort to remain a viable candidate in his 2008 presidential campaign. A friend and adviser to Edwards testified Tuesday that the candidate appeared surprised to learn that an elderly heiress sent money that ended up going to Hunter and Young. The defense, which began its case Monday, has argued that Young largely used the money for his own personal gain, while also paying for Hunter's medical expenses during her pregnancy in an effort to hide the affair from Edwards' wife. Donations for that purpose, the Edwards team has argued, cannot be considered in violation of campaign finance laws. Greece will hold new elections on June 17, state media reported Wednesday, after Greeks pulled hundreds of millions of euros out of the banking system amid fears that the country will not be able to stay in the European Union's single currency. Setting the date for a new vote comes 10 days after a national election in which voters punished the major parties for harsh budget cuts, leaving no party able to form a government. A caretaker administration led by a senior judge will run the country until the new vote. Interim Prime Minister Panagiotis Pikrammenos and his Cabinet will take their oaths of office on Thursday morning, Greek state television reported. Former Ohio State linebacker Andrew Sweat makes a tackle against Purdue. A former Ohio State linebacker said he is giving up his chance to make it in the NFL and instead will go to law school because of his concerns about concussions. Andrew Sweat suffered three concussions while he played as a Buckeye in the Big Ten, including a serious one in the middle of his final year on the field for The Ohio State University. But he began to feel better earlier this year, and, as an undrafted free agent, had a chance to try to nab a spot on the Cleveland Browns' roster. As he prepared to head to the team's camp last week, he slipped and fell in the shower, causing the concussion symptoms to return. It appears that was the final straw for Sweat, who said on Twitter he decided he had to choose his health over a possible shot in the NFL. "When I fell, it scared me," Sweat told the Cleveland Plain Dealer. "Football is not worth my health. It's really important to me that I'm able to have a family and a life after football. Football is a great game, but when you have a concussion like that, it's not worth it." Sweat's decision might not normally garner too much attention. He was listed as 31st on the ranking of other linebackers who were entering the NFL draft. But it comes as the NFL weathers bounty scandals and concerns regarding rough hits, as well as allegations and lawsuits by more than 1,700 NFL players claiming that the National Football League hid the dangers of concussions from them. The attention to the concussion issue has continued to grow and was again back at the forefront of discussion after NFL star Junior Seau committed suicide. Sweat said that Seau's death and all of the controversy swirling around the NFL right now didn't play a huge part in his decision. It was more about how he personally felt and his own concern about whether it was worth it to risk another concussion. "Sometimes people get lost in the game of football. They don't think about injuries, and they ignore things," he told the Cleveland newspaper. "I enjoy too many things. I'm too well-rounded to have critical damage to my brain and body." Brett Lawrie of the Toronto Blue Jays throws his batting helmet to protest a third strike call Tuesday night. Toronto Blue Jays third baseman Brett Lawrie is likely facing a suspension after throwing his helmet in anger and hitting home plate umpire Bill Miller in Toronto Tuesday night. With a count of three balls and one strike in the bottom of the ninth, Lawrie took back-to-back pitches from Tampa Bay Rays closer Fernando Rodney. Miller called both strikes, sending Lawrie back to the dugout. Trouble was, when the third strike was called, Lawrie had already taken two steps toward first base, thinking he had drawn a walk. He spun around, took two steps back in the direction of the umpire and threw his batting helmet to the ground. It bounced up and struck Miller. Lawrie was promptly ejected from the game for the outburst, but is likely to face a further suspension and/or fine because the helmet struck Miller. I've never, ever, done anything to go at an umpire before in my life, and I didn't mean to tonight. I apologize for that," Lawrie said after the game, according to MLB.com. "It just kind of took an unlucky bounce and I think it got him, so my apologies for that." The Blue Jays lost to the Rays 4-3. 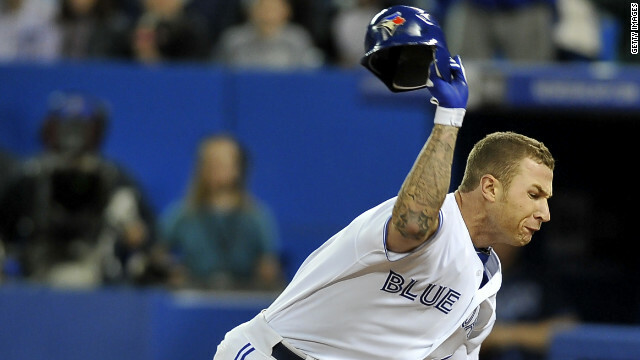 Major League Baseball has made no announcement yet as to how long they'll lose Lawrie's services. Ratko Mladic, who is accused of orchestrating a horrific campaign of ethnic cleansing during the bloody civil war that ripped apart Yugoslavia, showed no remorse as his war crimes trial opened Wednesday, at one point even appearing to threaten victims in the court. The former general drew his hand across his neck as if cutting a throat while staring at victims of the war that introduced the phrase "ethnic cleansing." At other times, the man accused of being "the Butcher of Bosnia" stared at them, fire in his eyes, and he once growled at the survivors. The 70-year-old former Bosnian Serb general has been indicted on 11 counts of genocide, war crimes and crimes against humanity in the 1992-95 war. Police are investigating a burglary at former NFL player Junior Seau's home just days after he committed suicide, according to media reports. Five days after Seau killed himself, and in the while a growing memorial was happening outside his home, someone crawled through the doggy door that led to the garage and stole a bike from Seau's home, CNN affiliate KGTV reported. Officers in Oceanside, California are struggling to figure out how nobody noticed the burglar, especially considering the flooding of people to the area to pay tribute to the star linebacker, who played most of his career with the San Diego Chargers. Police said that the burglar only stole a bicycle, which didn't even belong to Seau, and rummaged through some of the belongings in the garage. Neighbors are disgusted not just at the break-in, but also at the disrespect. "I just think it's horrible someone would even break into someone's house after a tragedy like that," neighbor Terra Ramirez told KGTV. News of the break-in came as police also released the official police report from the day Seau was found dead. When police arrived at Seau's home on May 2 after his girlfriend called police and said he had shot himself in bed, she led two officers upstairs to a spare bedroom, according to the San Diego Union-Tribune. Seau was found with a wound in the upper left chest and didn't have a pulse, the newspaper reported. Nearby lifeguards tried to revive Seau, but when paramedics arrived they pronounced Seau dead, the newspaper reported, citing the police report. Police found a Smith & Wesson .357 Magnum revolver, model 19-5, in the bed with five live rounds inside and one spent round in the cylinder, according to the newspaper. Seau was drafted into the NFL in the first round in 1990 out of the University of Southern California. He debuted with the Chargers, establishing his Hall of Fame potential as a Pro Bowl staple. He left San Diego before the 2003 season to join the Miami Dolphins and spent parts of the last four seasons with the New England Patriots before retiring in January. Seau amassed 1,526 tackles, 56.5 sacks and 18 interceptions in his 20-season career. 9:00 am ET - Florida real estate developer trial - Testimony continues in the trial of Adam Kaufman, who's charged with second-degree murder in the death of his wife. Laurie Fine, the wife of a former Syracuse University assistant basketball coach accused of molesting ball boys, will break her months-long silence Wednesday to address what she calls false accusations in the case, her lawyers say. "ESPN published worldwide defamatory statements about Laurie Fine," said one of her attorneys, Lawrence Fisher. "They have essentially ruined her life, destroyed her reputation in the Syracuse community that she loved and served for so many years." Bernie Fine was fired from Syracuse in November after several ball boys came forward and said the basketball coach molested them. Bernie Fine, who has not been charged with a crime, has maintained his innocence, saying shortly after the allegations surfaced that they were "patently false in every aspect." Former Syracuse ball boys Bobby Davis and his stepbrother, Mike Lang, were the first to step forward publicly last year with allegations against Fine. The City of Fullerton, California, has reached a $1 million settlement with the mother of a mentally ill homeless man who died last year after a beating he received at the hands of police officers. The city council unanimously approved the award during a closed-door session on Tuesday, an attorney for Cathy Thomas said. "To lose a son at the hands of rogue police officers is an indescribable horror," the attorney, Brian Gurwitz, said. "There is nothing this council could ever do to compensate her for the loss she's suffered." The settlement comes a week after a California judge ordered that two Fullerton police officers stand trial in the beating death of Kelly Thomas, and it does not affect a separate wrongful-death suit filed by Thomas' father.